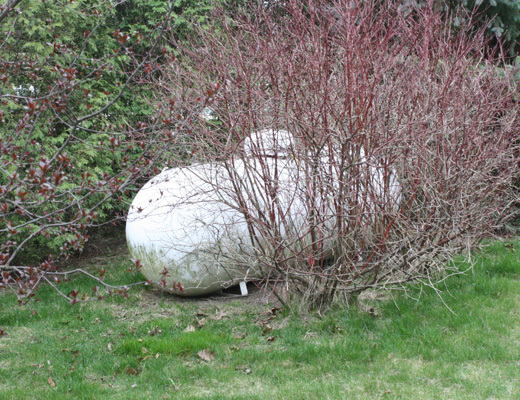 Many homeowners across Ontario are recognizing the high cost of heating their homes with propane. Perhaps you are interested in knowing more about the cost of installing a geothermal heating and cooling system to replace a propane furnace heating system. Perhaps you’ve heard about the improved air quality that results from operating a heat pump in your home. Or perhaps you already know about the benefits of installing an energy efficient geothermal heat pump and you want to start enjoying the comfort and cost savings that are available. Many families living who live out of the city on a country property, on a farm or in a rural environment where there is no access to natural gas, realize the significant cost savings available to them by eliminating or reducing their dependence on propane. A properly designed geothermal system can offer significant savings over propane. Typically, after completing a propane conversion, we can reduce the energy costs of your home by 60%. Imagine paying about 1/3 of the after tax dollars you currently spend on heating! Most homeowners will require a custom designed geothermal solution to better suit the unique requirements of their home. At Quantum Geothermal, we have the expertise to deliver a quality geothermal heating and cooling solution at a competitive price. We welcome your inquiry.